Everybody who likes to contribute any team file, you are welcome to do so! The more, the merrier! Interested in contributing team file(s), following the update rules, please post in this topic! 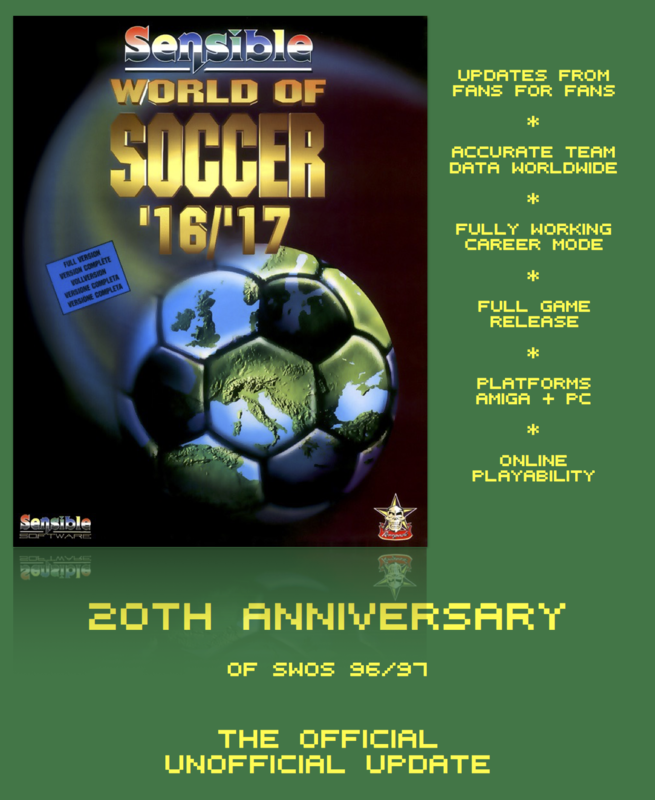 Each editor may submit a custom team, based on the original custom teams of SWOS 96/97. First come, first serve! Hey.. I would like to help with the danish league / danish national team. One question though. Will it be acceptable to replace central midfielders (offensive/defensive) with attackers and defenders? This will of course improve performance of the teams, but not be like the original version of the game, and thus make players with M obsolete. Nice1, Poul. Danish league / national team taken! Sure, you can use A and D in midfield role. But remember, M won't be obsolete, if skills are set correctly, wisely (e.g. : Redondo). I'll go for the scottish leagues if that's ok? I'd like to help with Italian league teams. @ Marin and Playa: great idea, I totally agree on the rules for updating. Do I understand correctly that this update will work with the original exe? 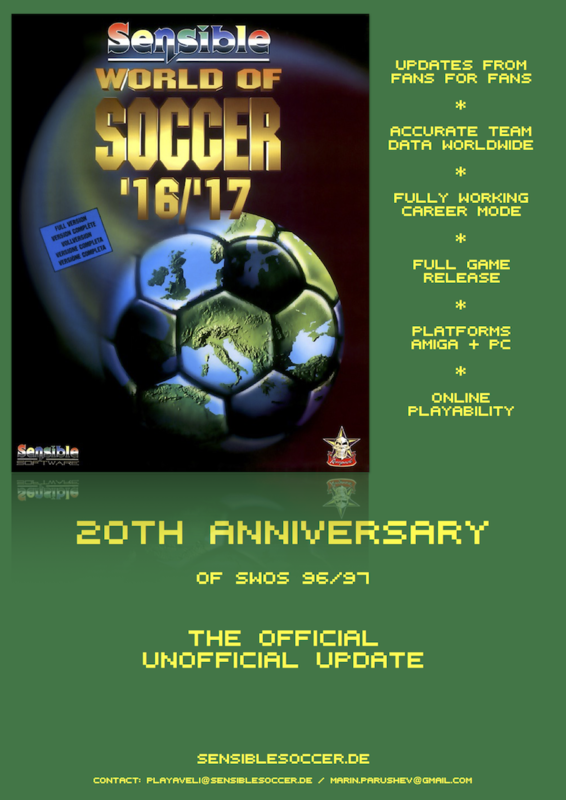 will the unlimited transfers "hack" be in the release too? so people aren't limited to 5 transfers per season, or will this still need to be an external "hack"? No hacks, whatsoever! Totally faithful to original SWOS 96/97. If you need any help with the Hungarian league or the national team, I would gladly help with it.